At the corner of Arlington and Beacon lies this restored 19th century building with park and river views. Homes are over-sized and feature high ceilings with recent (2007) renovations. 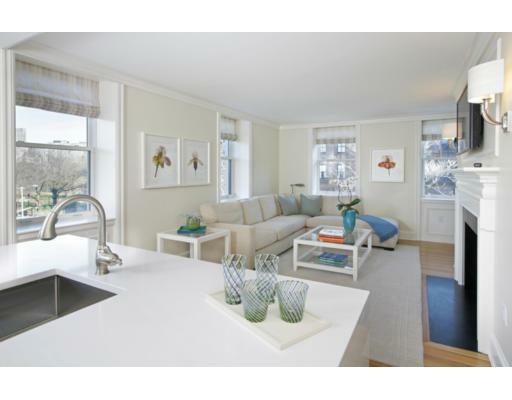 Nestled between Beacon Hill and Back Bay this property is a short walk from dozens of fine dinning restaurants and the best shopping in Boston. Contact us for more information about one of the 100 Beacon units listed below or another Boston apartment on our site. Sign up for a free account if you'd like to start saving your favorite listings. 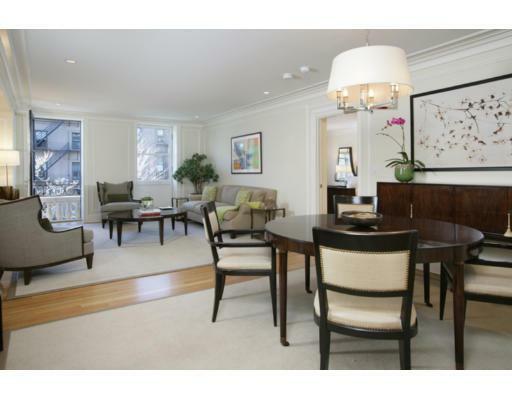 Elegant condominium located on the desirable sunny side of Beacon Street a block from the Public Garden! 100 Beacon Street is a luxury boutique full-service building with 24-hour concierge and on-site management. Conveniently located just steps away from the Charles river, Boston public garden and the high-end shopper's paradise of Newbury street. This rare 3-bedroom 2.5 bath home has a bright and open floor plan complete with hardwood floors and gorgeous crown molding throughout. 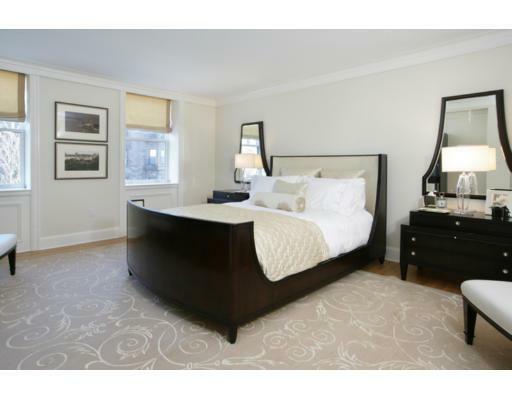 The spacious master suite features two large custom walk-in closets and an en-suite bathroom. On the opposite side of the condominium you will find two additional bedrooms. The kitchen living area opens up to a separate large formal living and dining room, which is perfect for entertaining.